She made her name with cult store Empire Vintage in Melbourne’s Albert Park, a sharp-eyed edit of vintage and industrial pieces, recently reborn as Lynda Gardener: Curated. As well as shopping the look fans can experience it in person too, thanks to Lynda Gardener’s four stylish stays in and around town. Having founded studio Gardener & Marks with a friend, Lynda has now gone it alone, offering interior design services under her own name. Tell us about your Melbourne store's new direction. Since I was a very young girl, I’ve always searched to find that special one-off piece to treasure and give it a new home! I still do – it’s in my blood and is what I love. The new store is back to more old and a touch of new, and will constantly be evolving. 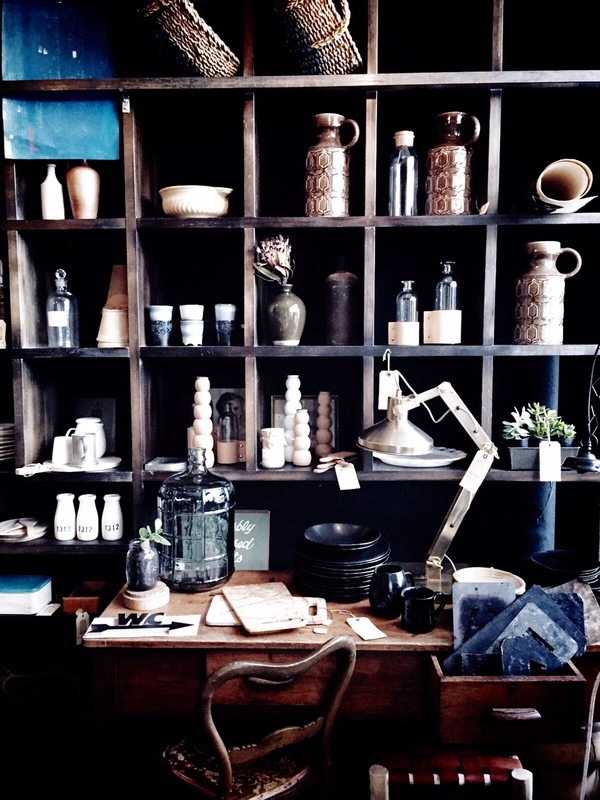 I have always loved collecting and now that my personal storage is at overload, I have decided to delve back in and sell stock from my private collections, large and small, from country furniture to milliners’ hat blocks, crockery and industrial foundry pieces. Curated is all about one-off pieces sourced and salvaged over many years. As in my own home I do love a mix of old and a touch of new. What inspired the interiors of your latest Melbourne boutique stay The Apartment St Kilda? I wanted something very fresh, white and light. The Apartment overlooks lovely green lush old gardens which belong to the building, so bringing lots of green in with foliage and indoor plants, lots of white paint and my love for the mix of old and new is what makes the space so special. What about the interiors of your recently launched stay The Estate Trentham in country Victoria just outside town? 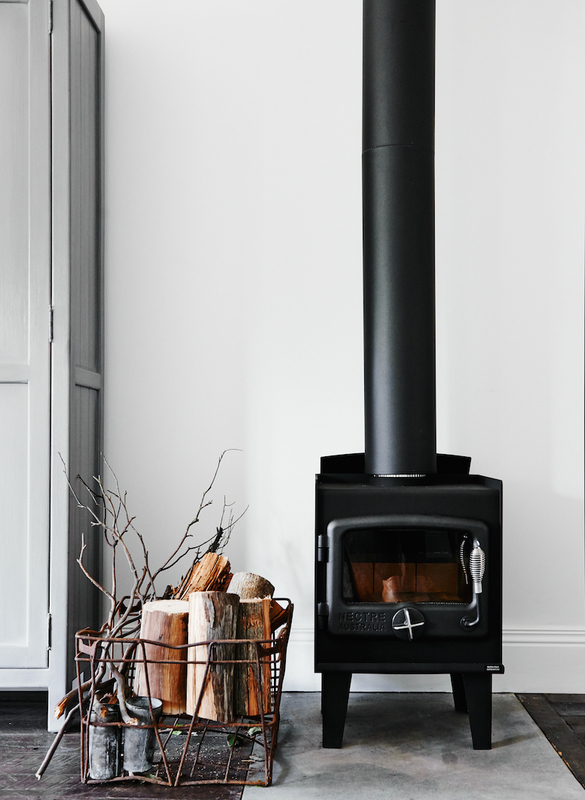 The Estate is very different again, a more Scandinavian influence – skins, rugs, lots of deep comfortable couches to laze on and lie in front of the fire and read, lovely old wool blankets and oil paintings. It combines old and new finds and lots of textures and layers. The Estate is also all about the garden, as we have gorgeous herb gardens that evolve and change yearly. Right now we are planting a tea garden there with our wonderful gardener, so guests can create their own brews and teas. What was the design style for your first two boutique stays, The White House in rural Daylesford and The White Room in Melbourne's inner-city Fitzroy? The White House is a very cosy, warm rustic house with interiors with lots of layers and textures – wallpapers, rugs, throws, leather, linen and lots of it. The White Room is part of a former mattress factory and I wanted to keep a constant flow with industrial lighting and a mix of industrial furniture for a very white warehouse studio feel. It also features personal collections of art work, books and one-off finds. Where do you source decor pieces, and what do you look for? I am pretty random and there is no one place in particular. I like being spontaneous and not planning too much ahead. I love to find pieces and then be inspired by them to create a room and look. Since way back I’ve been sourcing from local and overseas markets, and if I’m travelling I never miss a Sunday market. I also have fabulous contacts that I can turn to as well as my own personal collection that I have started to source specific pieces from for different installations. Mix old with new. Make your home your own by putting your own stamp on it, either with something you love to collect or perhaps a colour or tone you love and stick with it, like collections all in white, or a cluster of landscapes on one wall to create a feature. I like the house to flow from the front to the back and to stick to a colour all the way through – for instance white, greys, or a black and white room. The Estate is all about browns, mushroom and whites, just naturals. From everywhere and anything, it changes all the time. These days I find inspiration on Instagram, with so much fantastic food for thought rolling around every minute of the day. I love it as I do Pinterest, another great source of inspiration for me. I still buy my favourite interior magazines and coffee-table books, which I pile up and love flicking though often. Other people, mainly all the great stylists out there, continually inspire me, as does history and architecture. I am a great wanderer and love being randomly inspired by something I may have walked by many times, however on a different day, thinking about different things, it will stand out. Who are your design heroes? 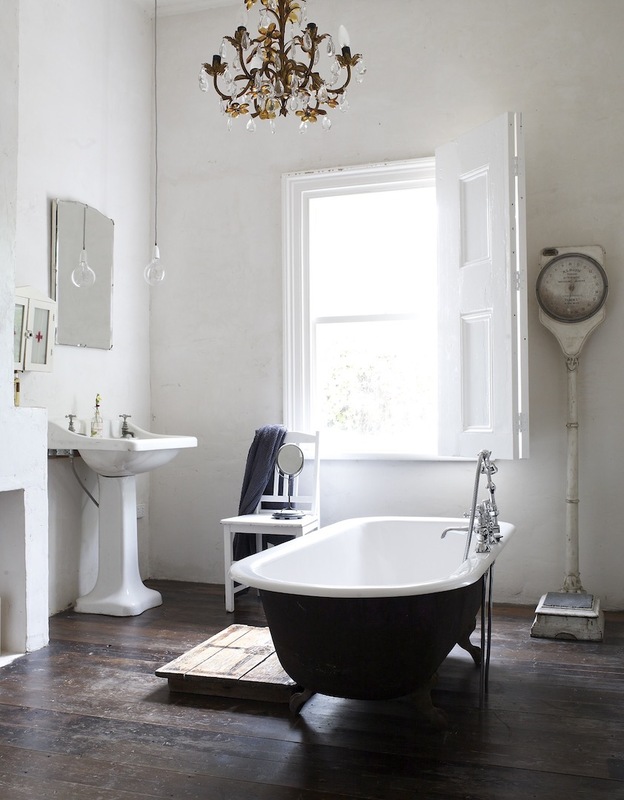 Or which era, aesthetic, building or interior has influenced you the most? Once again I have so many – I probably love a little something from every era, generally anything old and with character. However, that is about to change with a new build in the making for next year. I can’t wait as that’s a true challenge for me. What's currently exciting you in design or style? It excites me that so many looks and styles are going around and really no one way or another is right or wrong. We are so lucky to be able to create any look we want and not have to stick with trends that are ‘now’ or short term. I love Scandinavian, and yet I love very bohemian styles currently too. For me it depends on the space you are decorating and which way it tends to lean. Some places just speak to you instantly and that’s the way I tend to go. Copenhagen is next on my list. I have never travelled to Denmark and I am keen to check out the city and its surrounds. I’m excited by Danish design’s use of simple clean lines, and their interior style and architecture. I just want to roam the streets, eat, look and discover. Instagram as I find it almost relaxing flicking through everyone’s lives all around the world. It’s instant and fast yet so, so inspiring seeing so many creative people doing something different every day, or in fact every hour! What are your top Melbourne tips? I have always lived in Fitzroy and I can never get enough of it. I am forever excited about visiting a new cafe, bar or store. Gertrude Street, Smith Street and all the back streets of Collingwood are my favourite spots. My current faves are Marion wine bar in Gertrude Street – I love the interior and the casual dining/drinking feel oozing style. Café-deli Oxford Larder in Collingwood is my little local favourite, which is owned by very good friends of mine. An old stamping ground is Babka café on Brunswick Street for its great food, bread and cakes – the best! I don’t think it has changed in any way for the past 30 years and it has had the same owner from day one. Baker D. Chirico in Carlton is known for its outstanding fit-out, styling and, of course, delicious bread, food, desserts and staff. Neighbourhood Wine, hidden in the back streets off Nicholson Street, also has great food.